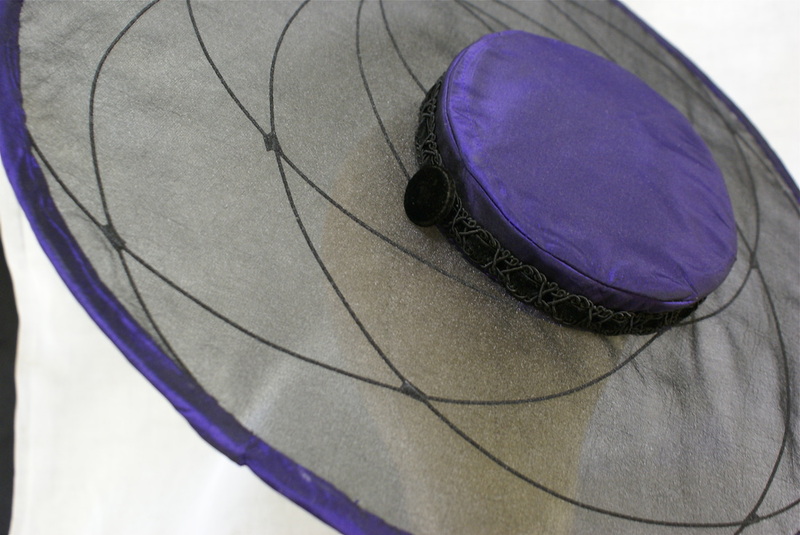 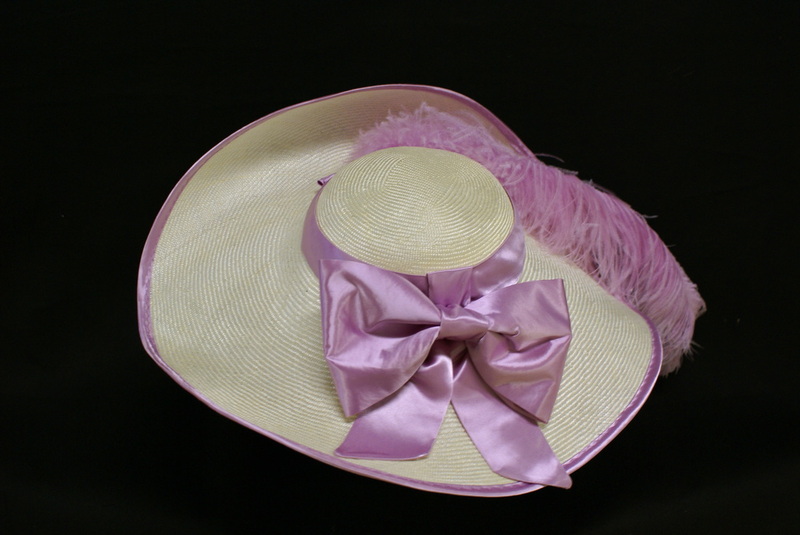 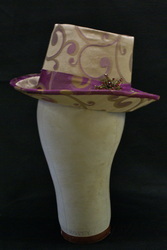 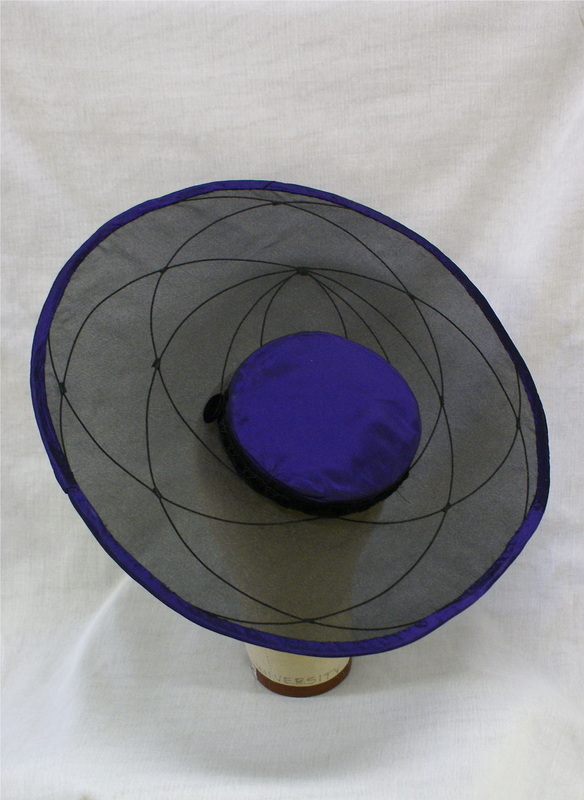 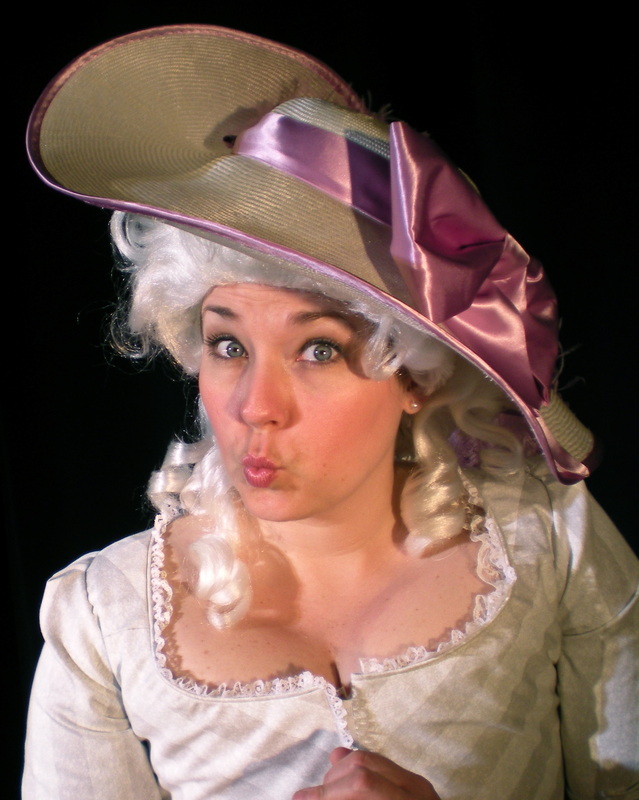 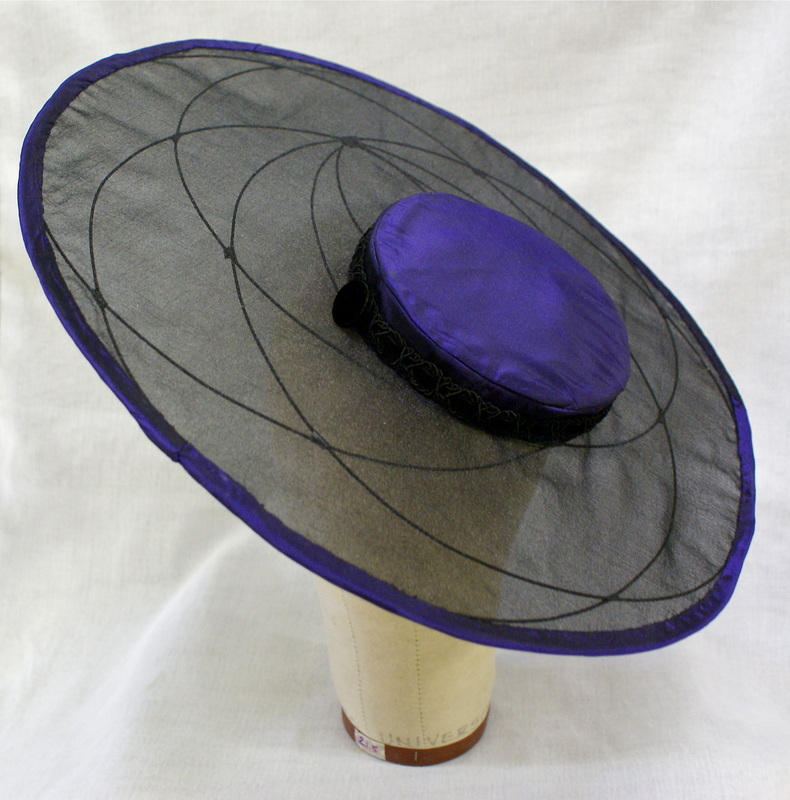 Millinery wire covered with black organza and purple taffeta. 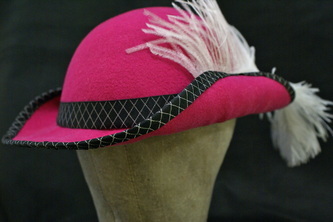 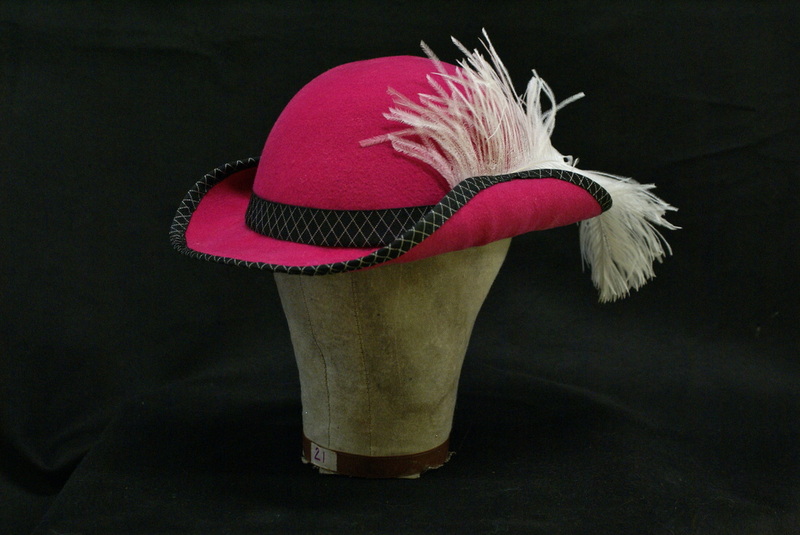 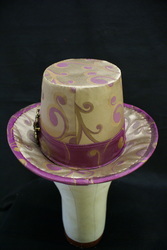 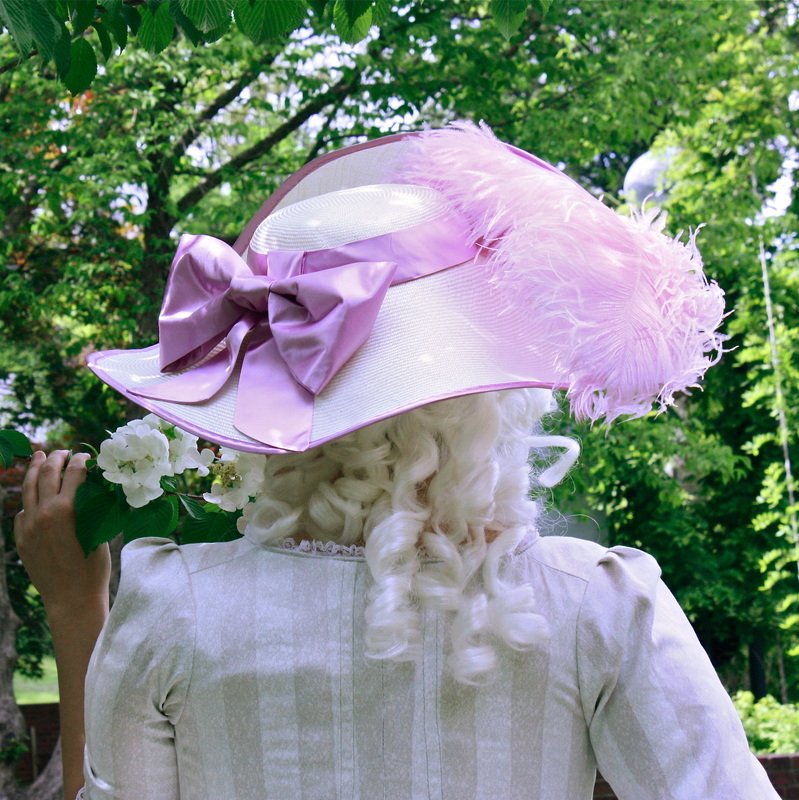 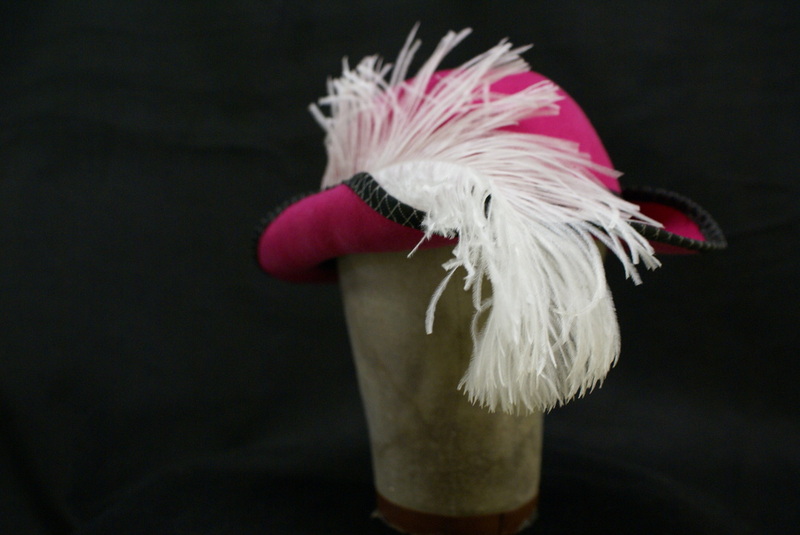 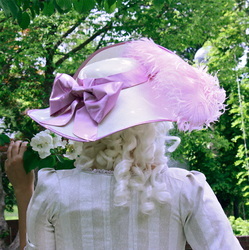 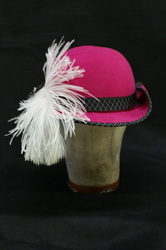 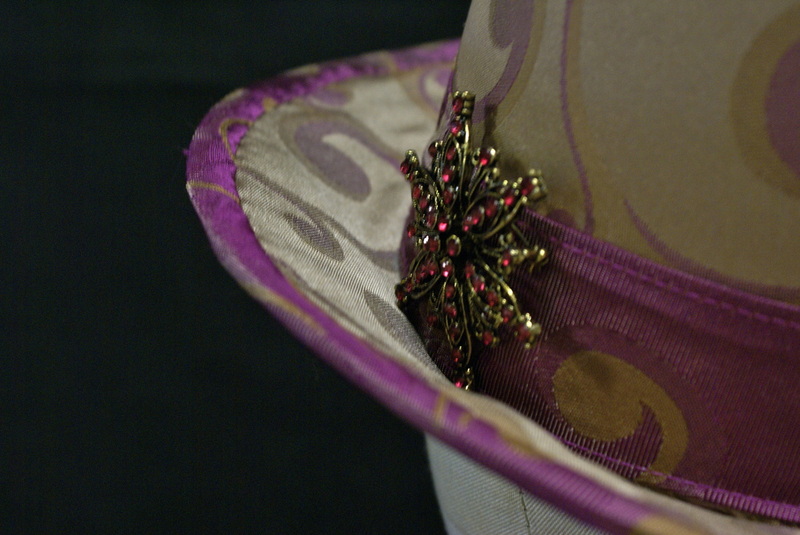 Double buckram with wired edges covered in brocade. 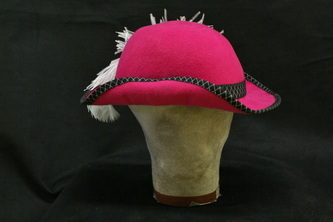 Pulled felt hood, trimmed in grosgrain with a feather. 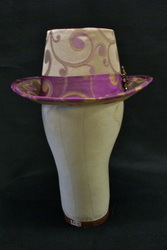 Pulled straw hood with wired edge. 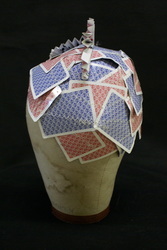 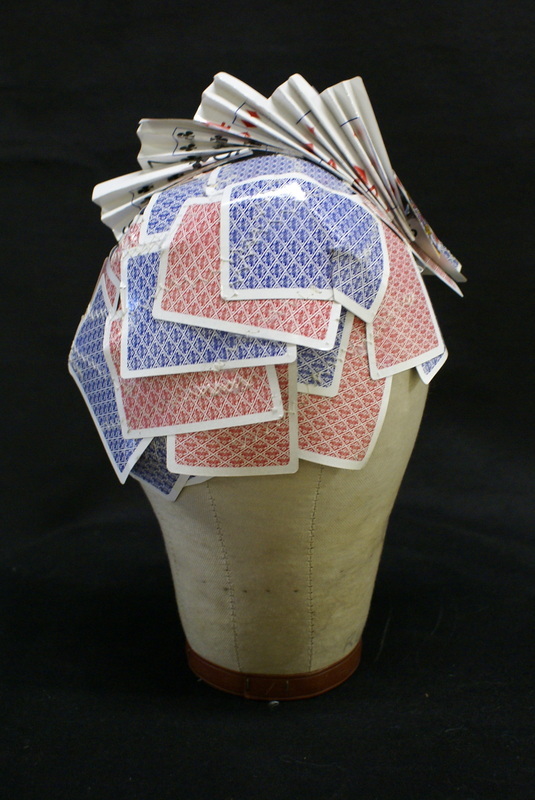 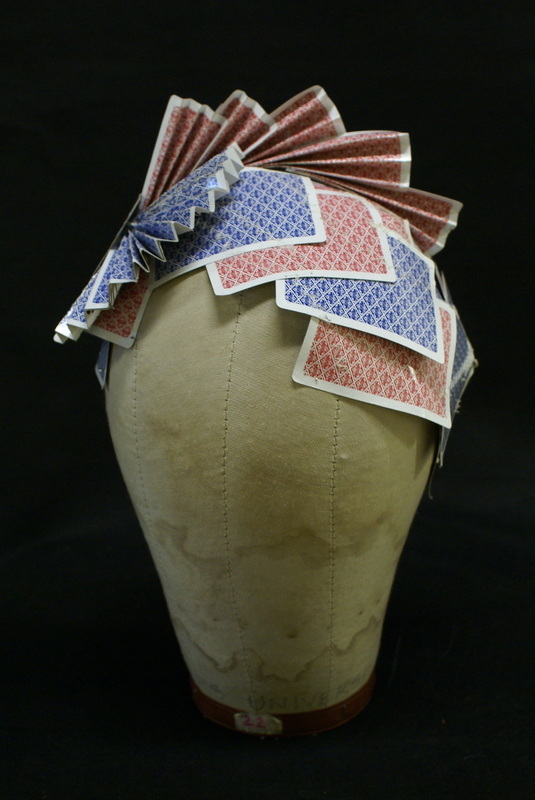 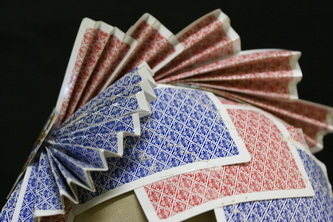 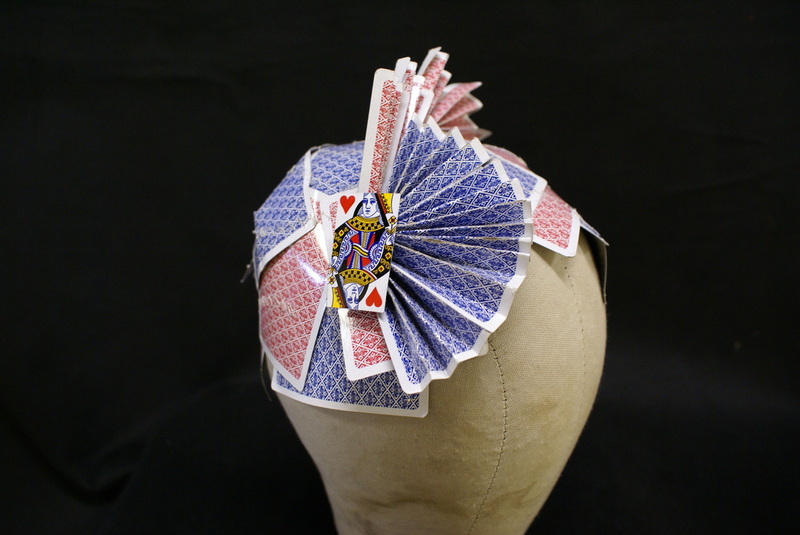 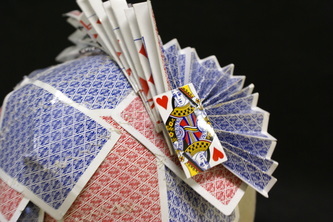 Hat made out of two packs of playing cards. Stitched with a zig-zag and folded.